Steam Header is an indispensable part of all types of boilers as it collects steam from the generating tubes. 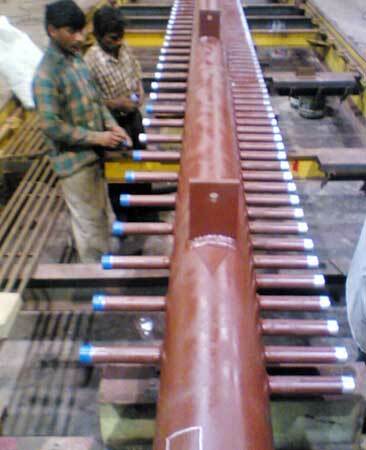 As, the Pressure Steam Header is always remain under high pressure, the utmost care is taken during its fabrication. Depending on the generation capacity of boilers, we offer Steam Boiler Header in various sizes. We are counted among the major Steam Boiler Header Manufacturers in India.